I saw this book on a shelf at the bookstore and picked it up because it was praised by Ira Glass on the cover. I then turned it over and saw additional praise from Dave Eggers and Michael Pollan. I figured it was worth a read. The book is about a community based set of programs in Harlem designed to help kids get out of poverty and into college. The program seems like it has done really amazing things and it was interesting to read about the successes and failures along the way. I can't believe how intense the programs are and how much it takes to catch inner city kids up to their more wealthy counterparts. The test scores of the children do dramatically improve with such intense programs, but it seems that such dramatic teaching to the test isn't a good idea in any kind of school. Good review of American schooling debates, including research. The successes and failures of Geoffrey Canada's efforts to set up educational services in Harlem. He had an ambition to change everything at once. Maybe this is called for, but a particular danger with that approach is that it makes it difficult to evaluate what works and what not. That was the question that Geoffrey Canada found himself asking. What would it take to change the lives of poor children--not one by one, through heroic interventions and occasional miracles, but in big numbers, and in a way that could be replicated nationwide? The question led him to create the Harlem Children's Zone, a ninety-seven-block laboratory in central Harlem where he is testing new and sometimes controversial ideas about poverty in America. His conclusion: if you want poor kids to be able to compete with their middle-class peers, you need to change everything in their lives--their schools, their neighborhoods, even the child-rearing practices of their parents. Amazon.com: What makes Geoffrey Canada's approach to educating poor city kids different than the many reforms that have come before? Tough: Geoff is taking a much more comprehensive approach than earlier reformers. His premise is that kids in neighborhoods like Harlem face so many disadvantages--poorly run schools, poorly educated parents, dangerous streets--that it doesn't make sense to tackle just one or two of those problems and ignore the rest. And so he has created, in the Harlem Children’s Zone, an integrated set of programs that support the neighborhood's children from cradle to college, in school and out of school. Amazon.com: This is a short book about a long story. How did you find a way to tell the story of such a complicated, long-term transformation? Tough: When I set out to write this book, my main goal was to tell an engaging story, to find characters and moments and conflicts that would reflect the changes that were going on in Harlem. I wanted to present Geoff Canada more as a protagonist in a drama than as a static subject of a biography. And in that respect, I got lucky in my choice of subject, because during the years I spent reporting on his work, Geoff was in the middle of some major transformations, both personal and organizational. I was also lucky to find a variety of other characters in Harlem, from teachers and administrators to students and parents, who really opened up to me, speaking candidly and eloquently about their own hopes and fears for their children and their futures. With their help, I think I was able to make the book not just an account of some important new ideas in poverty and education, but a human story as well. Amazon.com: You've spent much of the past five years reporting in Harlem. Beyond the school successes, do you see differences between the parts of the city within the Children's Zone and nearby neighborhoods where the program hasn't expanded yet? Tough: Harlem as a whole has improved a great deal over the last decade--a process that Geoffrey Canada can take some credit for, though there were plenty of other people and forces that played a role. On a block-by-block level, though, it's not always possible to see the difference between a street that is in the zone and one that's outside of it. The most important changes in the zone are going on out of view, inside schools and apartments and housing projects, where children are, for the first time, learning the skills they need to succeed. Amazon.com: Barack Obama has said that he would replicate the Harlem Children's Zone in 20 other cities. Have any other organizations begun to follow Canada's model in other places, or are they waiting to see how it goes (or waiting for Obama to be elected)? Tough: There is a tremendous amount of interest right now in Geoffrey Canada's work among people working in education and philanthropy and social-service non-profits. And there are fledgling zone projects in a handful of cities, all drawing upon the Harlem Children’s Zone to some degree. But there's nothing yet happening on the scale that Obama has proposed. I do think people are waiting to see what Obama does. Will he take the steps necessary to put his replication plan into effect? Amazon.com: How much of its effectiveness depends on Canada himself? Can you model him, as well as his program? Tough: He's a unique guy. His personal story--born in poverty in the South Bronx, growing up around drugs and violence, then making it out of the ghetto and winding up at Harvard--was what gave him the passion and the commitment to create the Harlem Children's Zone in the face of numerous obstacles and widespread skepticism. So it's probably true that no one else could have built the first zone. But I think this next stage, the process of expanding the zone model around the country, will require leaders of a different type--people who are passionate about the mission of improving the lives of poor children, of course, but more importantly people who are very focused on results and how to achieve them. Those people may be rare, but they're out there. Amazon.com: Finally, how are Victor and Cheryl [a young couple who went through the Zone's Baby College in the book] doing? Tough: They're doing pretty well! They're still struggling with all the issues that most young adults in Harlem struggle with, like finding affordable housing and a decent job. But they're committed to their son, Victor Jr., and to the new parenting techniques they learned in Baby College. They're determined to do whatever it takes to give Victor Jr. a shot at a very different kind of future than they were able to imagine for themselves, growing up. Amazon.com: How do you change the culture of a neighborhood while keeping its local values? Canada: We are not changing Harlem's culture--we are working to provide an alternative to the toxic popular culture and street culture that glorify violence and anti-social behavior. When you are a scared kid, all this tough-guy stuff is very seductive. We are working with people from the community to provide safe, enriching, and engaging environments for children so they can develop just like their middle-class peers. By encompassing an entire neighborhood, we hope to reach a tipping point where the dominant culture is one that explicitly and implicitly moves children toward success. Amazon.com: You say in the book, "It is my fundamental belief that the folk who care about public education the most, who really want to see it work, are destroying it." Can you explain what you mean by that? Have you been able to change any of those minds through your work? Canada: First, let me say that I believe school staff--particularly teachers--perform one of the most important jobs in our country, and many of them are the most dedicated, hard-working professionals I know. I believe it is absolutely scandalous that they are not paid more and given more respect as professionals. That said, I believe our country's education bureaucracy has become calcified and resistant to change--and we are in dire need of change. When education self-interest groups defend practices that get in the way of improving schools for the sake of children, then I am absolutely opposed to them. I believe that the successes we are having in Harlem are beginning to turn some heads in this country, and making people realize that things are not hopeless--that we adults can improve student achievement at a much-larger scale than we have been doing. It's obvious that the system that got us here is not the one that is going to get us out. So everyone is going to have to re-evaluate their roles, their assumptions and their positions. I think that has begun, but we are not there yet as a country. Amazon.com: The story in the book ends in the summer of 2007. What has happened in your work, especially at Promise Academy, in the past year? Canada: This past academic year was very encouraging and it really seemed like the school began to coalesce. The most obvious sign of that were the scores on the citywide math exam at our middle school, which had been the school with the most challenges. This past spring, 97 percent of the eighth graders were at or above grade level. For an area like Harlem, that is incredible, particularly since these were kids that were randomly picked by lottery from the neighborhood, were massively behind, and were with us for just three years. So we are very optimistic about the future of our kids. 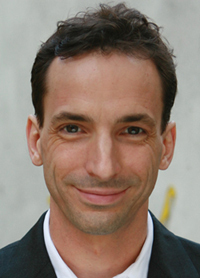 Paul Tough is a LibraryThing Author, an author who lists their personal library on LibraryThing.